When playing basketball on your new home basketball court, it can be difficult to remember to stay hydrated. But whether you’re an athlete or a family man, proper hydration can have a significant influence on your health, safety and sports performance. If you often hit the gym or your own home basketball court for a good workout, make sure you’re following these basic rules of hydration safety. 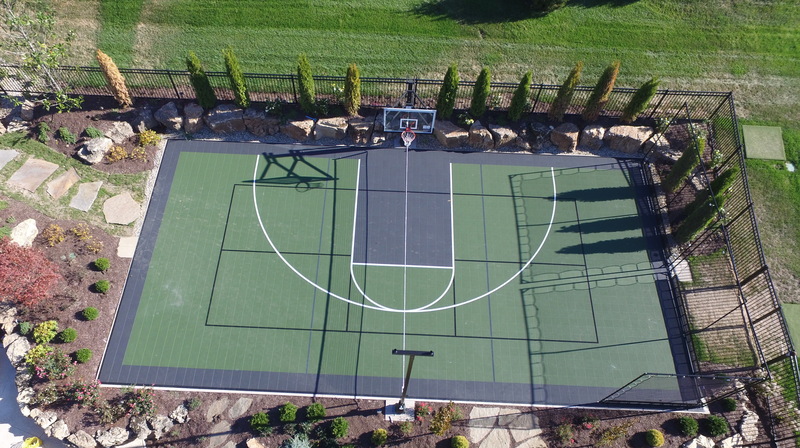 Why Choose a Sport Court Backyard Game Court Instead of a Pool? The sun is shining and your kids are probably feeling an itch — a “get outside and get active” itch. You can always take them out for a run around the park or for a swim in the community pool but staying in your backyard might be what you want to do instead. If this is the case, either a pool or a home basketball court would be good upgrades for your backyard. A home basketball court is the perfect place to practice your shots, play a game with some friends and even run some laps. When you finally decide to design your very own court, remember to plan it out exactly how you want for exactly the sports you hope to play. 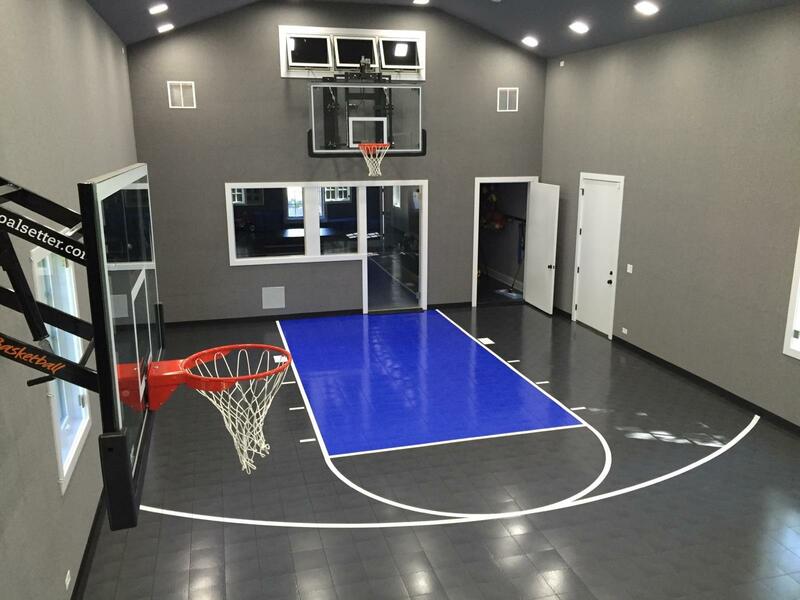 Choose the hoops, the lighting, nets or any other gaming components to make sure you have the home basketball court of your dreams. Sport Court isn’t the only name in home basketball courts, but it is the best and oldest name. 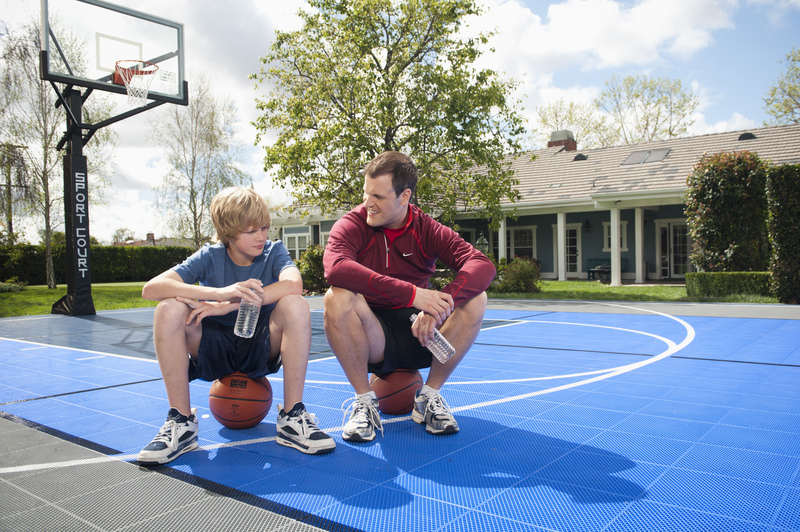 Sport Court is the original brand, with the world’s largest network of experienced court builders. Trusted by leading sports associations and families alike, Sport Courts are a sound investment in healthy living and togetherness for your family. 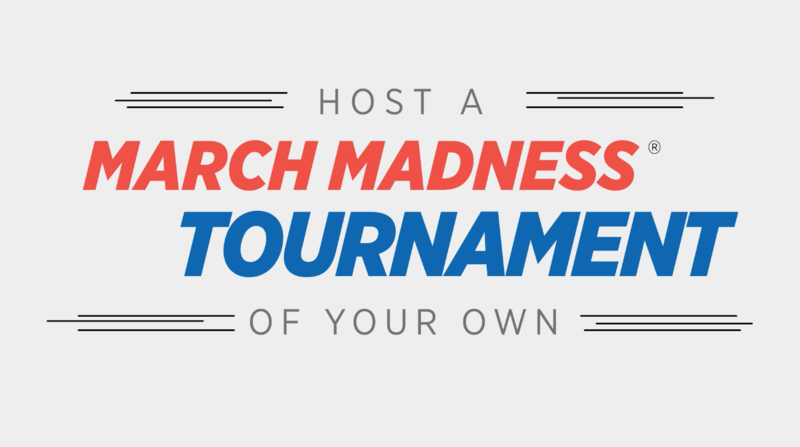 As March Madness comes to an end, your love for basketball shouldn't have to. Don't hang up your jersey and put away your shoes just yet. 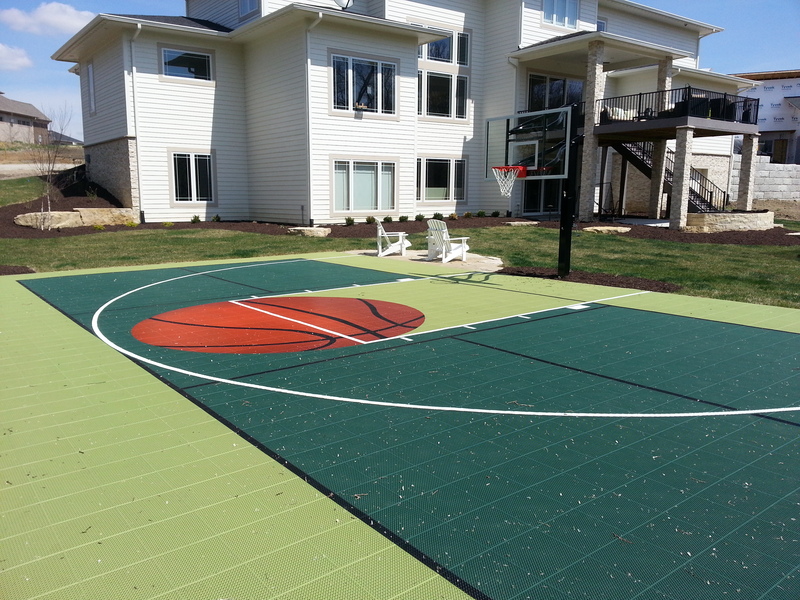 Celebrate the spirit of the game all year long on your backyard basketball court from Sport Court. Never be ashamed of your favorite NCAA® team. Whether you avidly cheer on your alma mater, or you’ve sworn loyalty to a team of your choice, face it, you’re a super fan. Being a fanatic isn’t a bad thing, for many it’s what brings meaning to life. March Madness is here and at Sport Court we are just as excited as the next guy — maybe more. 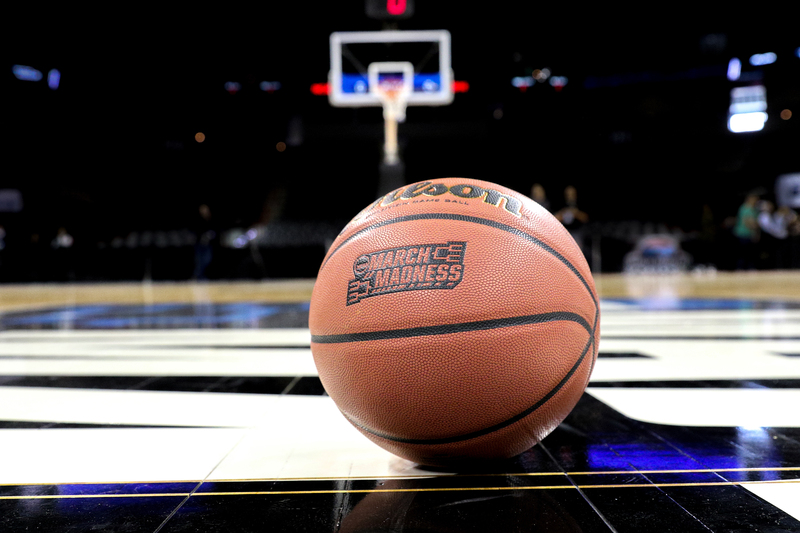 Courts are kind of our thing and there aren’t many courts more beautiful than the courts made for NCAA® March Madness. It’s hard to imagine that this same kind of quality is available in a home basketball court. It’s easy to get creative on your home basketball court. Aside from all of different sports you can play, your home basketball court will quickly become the center for neighborhood gatherings and get-togethers. 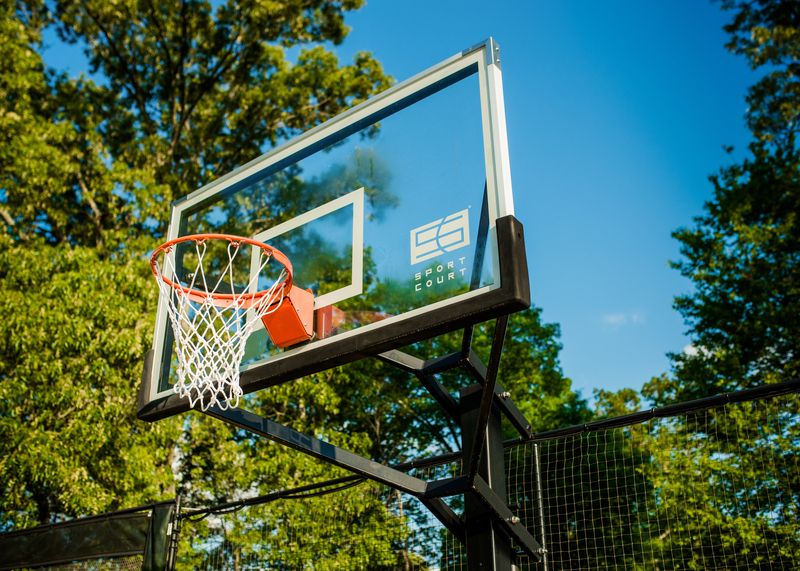 If you choose to host a Final Four® watch party this year, you’re sure to please your neighbors and friends and your sport court backyard game court is the perfect spot for your watch party. For years now you have watched the insanity that is March Madness®. Your children inherited your love for the game. Throughout March they pull up a space on the couch with you to enjoy the games. There’s an insanity that has crept up. You may refer to it as a lunacy. It creeps in like a fever and takes over your entire life.